Home / Customer Service / What is soy wax?" 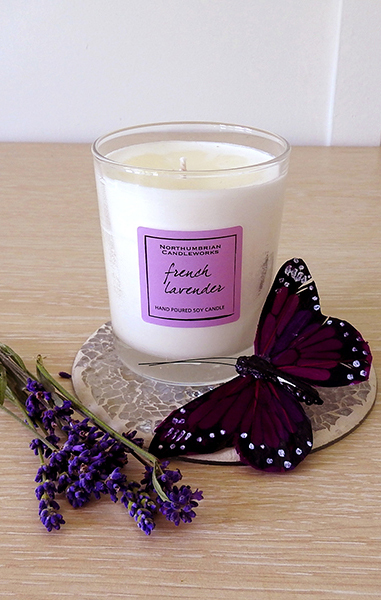 Soy wax candles are special because they are made from a particular kind of candle wax that comes from soya beans. This ingredient is natural, renewable and fully sustainable, making it a very eco-friendly product. Candles are a beautiful way to invigorate your home. They look wonderful, create a soothing atmosphere, and the fragrances help you feel relaxed, focused, happy or energised. Making sure that you buy soy wax candles will enrich your home, but not at the expense of the environment and your health. We feel passionately about only selling natural, sustainable, and eco-friendly candles. Every single one of the candles we sell is made from soy wax, or a natural alternative so you can be sure that it will burn cleanly in your home, without doing any damage to you, your family or the environment. You can check the ingredients of every one of our candles on the product page. If you have any doubts or concerns about the safety, then please do get in touch. Soy wax is made from soybean oil, the process doesn’t require any other ingredients, which makes the candle 100% vegetable. 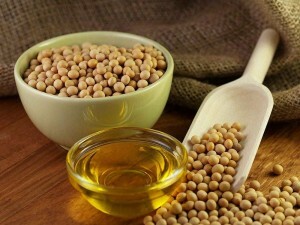 The oils are extracted from the beans and then hydrogenated, which converts the fatty acids in the oil from unsaturated to saturated. This process is necessary to change the melting point of the oil so that it is solid at room temperature, allowing a candle to be made that melts when lit. The leftover bean husks are still highly nutritious and so are used for animal feed. Creating a process where nothing is wasted. Soy wax has an off-white, almost opaque appearance, which is why all of our candles are white or off-white. If you see any coloured soy candles then you can be sure that the colours have been added using colourings. Typically, soy candles have a lower melting temperature than other candles and this can be an issue in hot weather. You’ll find that most soy candles come in glasses or tins that prevents any unwanted melting issues. Compared with all other candles, in particular paraffin wax, soy wax is cleaner, natural and far more eco friendly. It’s non-toxic and does not burn with a petrol-carbon soot that paraffin releases, blackening your walls and releasing toxic carcinogens into the air in your home. As well as this, soy wax is 100% biodegradable and is sourced sustainably from the farming of soybeans. The cleanliness of soy also creates a much cleaner burn for the wick. In fact, if you regularly trim the wick then you will find that the candle is entirely soot free. Additionally because it is organic, the wax is much easier to clean up if spilled. You can clean it off surfaces up simply using soap and water, and any containers are re-usable once the candle has finished burning. You will find that buying soy candles will give you a much better experience with your scented candle. Soy has excellent fragrance-holding qualities, which means it gives a long-lasting and even fragrance throughout the lifetime of their burn. 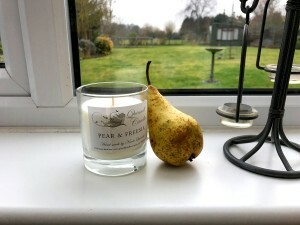 The lower melting point also allows the candle to burn longer than paraffin alternatives and it creates a much wider pool of liquid wax around the wick, causing a greater dispersion of essential oils into the room. 95% of candles currently on the market are paraffin wax, it’s a leftover by-product of the petroleum refining process, so very inexpensive. Once extracted and in order for the wax to be suitable for candle manufacture, it must be chemically bleached and deodorised before it can be used, this process can leave residues in the wax that will then be burnt in your home. Over the last few years, there have been a number of studies carried out that show the danger of using paraffin wax. According to Dr Amid Hamidi from South Carolina State University “An occasional paraffin candle and its emissions will not likely affect you, but lighting many paraffin candles every day for years or lighting them frequently in an unventilated area may cause problems”. It’s been shown that burning paraffin wax produces a whole range of toxic chemicals that include benzene and toluene, both known carcinogens, some studies have even likened the fumes to those from diesel engines. The wax also does not combine well with natural oils, leading manufacturers to use synthetic substitutes. A survey from Asthma UK showed that 40% of people who suffer from Asthma said that scented candles were triggers for them. Asthma UK said that soy wax candles are a afar better alternative, unless you suffer particularly badly. It’s also severely discouraged to burn paraffin wax around small children and babies. The toxins in the wax may cause long term damage to their lungs. The best way to ensure that your candle is safe and eco-friendly is to make sure that you always check the ingredients of the wax before you buy. There are two components to a candle that you should check. The best kinds of wax for your candle are plant sourced waxes or beeswax. These are going to give you a clean and safe burn and are unlikely to release the kinds of toxins that you might get from paraffin wax. Avoid paraffin wax as much as possible. Natural fragrance oils give the best aroma. Paraffin waxes do not mix well with natural fragrance oils and so they need to contain synthetic oils. Make sure that your candle does not use synthetic fragrances, otherwise you won’t get a good, even and long lasting aroma.